Located around 11 miles northeast of Bristol, Yate is a town in South Gloucestershire. It has a population of over 20,000 and a selection of housing to suit a range of tastes and budgets. At My Home Move Conveyancing we’ve been developing our knowledge of markets like the one in Yate since 2001, allowing us to bring a specialist, fixed fee conveyancing service to our clients in the area. You’ll require the services of property lawyers if you want to buy or sell property in Yate, in order to complete the legal work on your behalf. 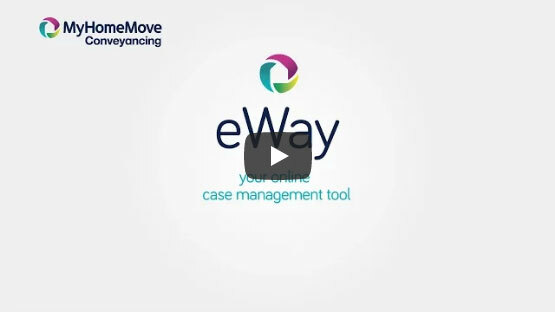 Select My Home Move Conveyancing to be your Yate conveyancers and make the most of our award winning customer service, innovative use of technology and knowledge of the local market. We offer a fixed fee conveyancing service with no hidden extra costs, so you can budget for exactly what you’re going to pay right from the start. If you don’t end up completing for some reason, you won’t have to pay us a thing in legal fees thanks to our ‘no completion – no fee’ policy. Choose us for a market-leading, professional and passionate service which we deliver to the highest standard. We assign a dedicated conveyancer to each of our clients, providing you with access to their expertise and a consistent point of contact. You’ll get clear, regular updates on your progress, as well as 24/7 online access to your account. At My Home Move Conveyancing we deliver more annual completions than any other conveyancer, because we get things right first time round. We’re delighted to supply our conveyancing services in Yate to customers looking to be in the town centre, near the train station in the west, or around green spaces like Kingsgate Park. The average house price in South Gloucestershire is £255,597, while the overall average sale price in Yate during the past year was £246,412. Most sales in this period involved terraced properties, which went for an average of £205,620. Semis fetched £242,618 and detached houses sold for £366,804. First mentioned as far back as the eight century thanks to the presence of a religious house, Yate is recorded in the Domesday Book of 1086. Its name is derived from the Old English word for a ‘gateway into a forest area’, with most of this part of South Gloucestershire covered by forest well into medieval times. The arrival of the railways in the middle of the 19th century brought lots of expansion to the town, which nowadays is a major commuter town for Bristol. There are trains to the city’s Temple Meads station which take just over 20 minutes, perfect for the journey to work in the morning. If you’re driving the A432 will take you in the direction of Bristol, while the M4 motorway passes not far south of Yate. When it’s time to go on holiday, Bristol Airport is around 20 miles away. For families with children, there’s a decent choice of schools across the local area. The Ridge Junior School, St Mary’s CofE and St Paul’s Catholic Primary are among the options for younger pupils, while the town has three secondary schools to choose between. These are Brimsham Green School, Yate International Academy and Chipping Sodbury School. All properties in Yate will fall within one of the following council tax bands.